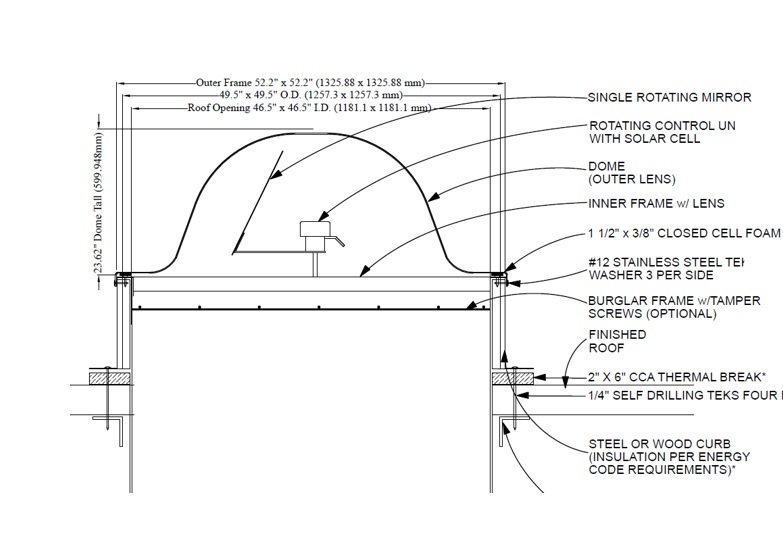 Daylighting is now considered one of the cornerstones of sustainable building, but it has been a challenge to implement it in large buildings — especially retrofits. 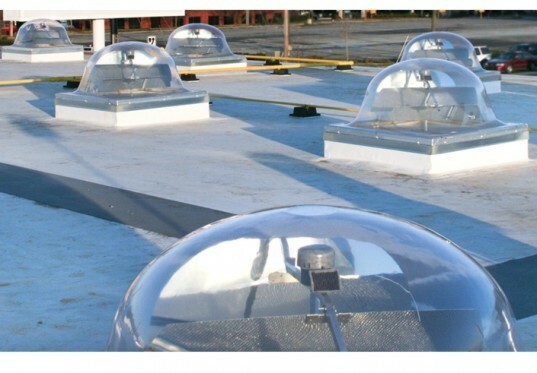 Sun Tracker skylights are an intriguing solution that can introduce daylight into the huge offices, retail box stores, and warehouses that line our cities. The skylight works by tracking the sun with a set of mirrors that redirect light into the interior. The design significantly reduces the need for artificial lighting and heat compared to traditional skylights and creates a much happier work environment. Read on to see how they work. The Sun Tracker turned a lot of heads when we first saw it at the GreenBuild 2007 show. Now that it has a few years under its belt the Sun Tracker is proving its worth in installations ranging from industrial and retail buildings to offices. It is basically a mini, fully-autonomous sun tracking motor which uses GPS to align itself and a solar electric panel for power. The double-layered dome is set high off the curb, making the incorporated mirror especially adept at catching early morning and afternoon sun while helping to deflect intense daytime heat. Each unit replaces the equivalent of 800 watts of fluorescent lighting, and when hooked up to a light sensor not only saves 2/3rds of the power for lighting but also 1/3 in energy-intensive cooling. This was proven out at a huge installation of Sun Trackers at the Patagonia warehouse in Reno, Nevada. Hard numbers such as energy savings and simple payback are important, but so are better work conditions in daylit spaces, which can improvine productivity and even retail sales. The Sun Tracker had some pretty high failure rates early on, but they come with a ten-year warranty and hopefully an improved history of reliability. 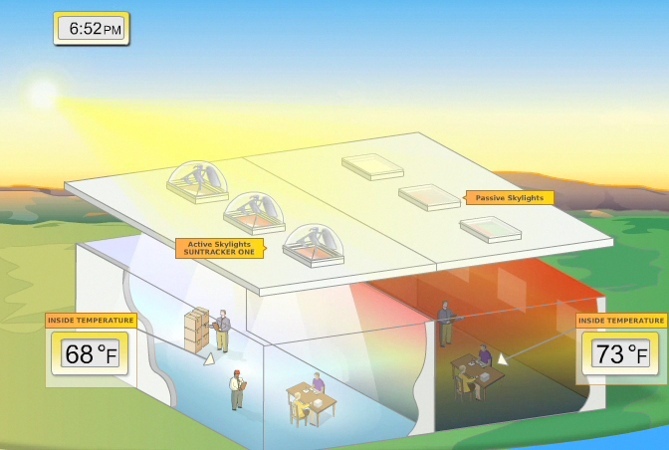 Daylighting is now considered one of the cornerstones of sustainable building, but it has been a challenge to implement it in large buildings -- especially retrofits. Sun Tracker skylights are an intriguing solution that can introduce daylight into the huge offices, retail box stores, and warehouses that line our cities. 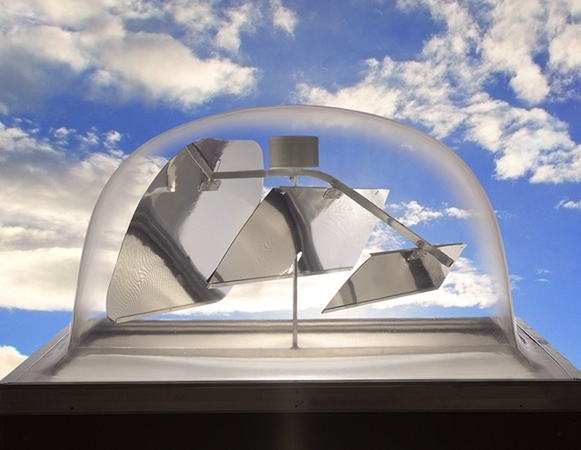 The skylight works by tracking the sun with a set of mirrors that redirect light into the interior. The design significantly reduces the need for artificial lighting and heat compared to traditional skylights and creates a much happier work environment. Read on to see how they work.